“Making Sense in History” provides a guide for history students and teachers. 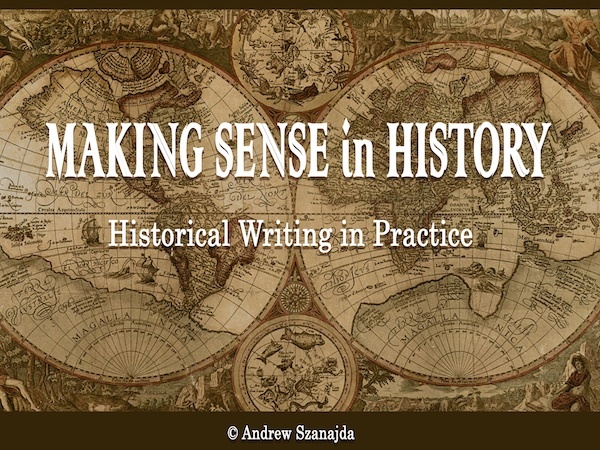 This work provides descriptions and analysis of several approaches for writing history. While the focus is on how history has been written, the methods that are researched in the book are suitable as a reference work for college-level history students and teachers. It provides an overview of how research has been undertaken, and how authors throughout history have written history. Most works of this type deal with either the philosophy of history, methodology for writing history, or historiography. This work combines all of these elements into one work. Students are therefore provided with a broad overview of what history is, along with a chapter on practical skills that students can refer to while doing their own research, reading to evaluate sources, how to write a research paper, and how to write a critical book review. This e-book will help the new generation of students and teachers with learning and teaching history course work. The author is a history professor who draws on his own experiences with teaching and research to make the content vibrant and interesting to younger college students.